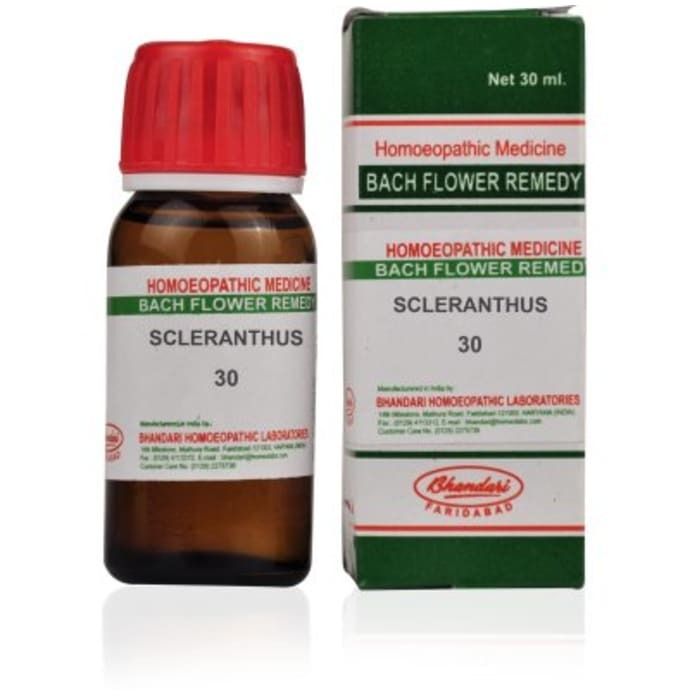 Bhandari Bach Flower Scleranthus 30 is a homoeopathic product formulated to ease the thought process of indecisive people. These people usually think a lot about the consequences and outcomes of a situation and feel depressed due to their inability to resolve. This medicine helps to increase the intuitive confidence and removes the fear of failure. It promotes rational thinking and lessens the feeling of loneliness. This product is safe to use and has no side effects. Take 3-5 drops 3 to 4 times a day or as prescribed by the physician. Read the label carefully before use.